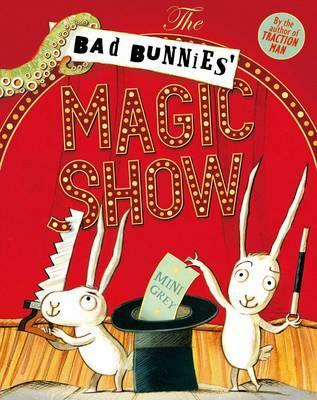 When the great magician, Hypno, goes missing just before a show, his rabbits Abra and Cadabra step in to save the day. But are they all that they seem? Or is there more to their sleight of paw than meets the eye? An exciting new novelty book from British author and illustrator Mini Grey that will have children and parents laughing out loud.